Marvel Preview: Weapon H #5 – AiPT! The Roxxon Corporation finally has its hands on the greatest experiment of the 21st century: Weapon H! 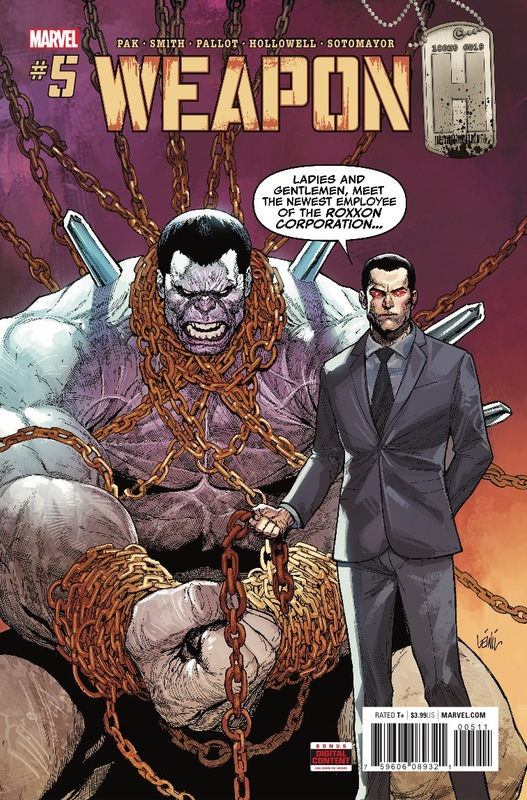 The Roxxon Corporation finally has its hands on the greatest experiment of the 21st century: Weapon H! At long last, they can…offer him a job?! Just what is CEO Dario Agger after? And while Roxxon’s been recruiting, Clay’s wife has reached the end of the trail. Can Sonia save her husband — or is he already gone?